I've been away for a couple of weeks visiting Claire's bro, which was ace! I've been going full tilt since last October with many long days and nights of working and trying to fit everything in. Normally the thought of two weeks chillin would fill my restless heart with dread, but this time I was looking forward to it - and enjoyed it. It’s been really great to have so much work coming my way, but at times I’ve been buried by it. 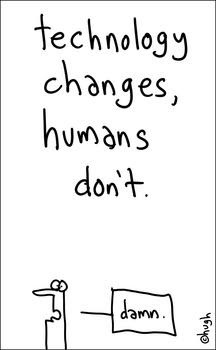 While I was away I thought a lot about how to manage things better in the future and what I want out of life generally. I’m lucky that nearly all my work is in what I love and that the only problem is prioritising it. I sat on the plane home with many exciting ideas for things I’d like to do and a budding idea for a book I want to write. The other exciting thing coming up is that I’m moving to the highlands in 2 weeks time (oooh did I write that out loud?!). Claire and I are moving to Fort William. So I’ll be right in the heart of the action – with enough blank and inspiring looking bits of rock to keep me going for several years! I can’t wait to get stuck in. While I was away some cool stuff happened that I wanted to blog about but couldn’t access my blog. 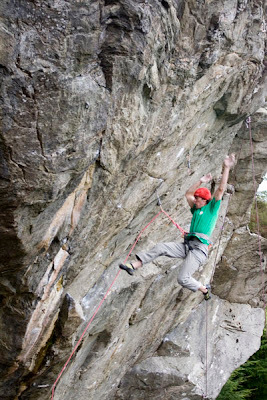 The world class climber from Canada Sonnie Trotter visited and spent most of his time here trying my route Rhapsody. It’s really great that Sonnie made the effort to come over and experience a climb that I opened – I felt really honoured (I know that word sounds kind of cheesy but I can’t think of a better one!). Sonnie had 2 weeks on Rhapsody and made some good links on the top rope, but wasn’t able to link it. I hope he’ll consider coming back to spend more time and do it in the future, if anyone has the qualities to make the repeat, it’s him! While we were away we lent Sonnie, Nick and Cory our wee flat in Dumbarton to stay in. It was kind of weird to think of someone else living in the same house and trying the same route day after day, as I did last year. The Canadians did seem to share my appreciation for the Basalt and the lovely moves it offers, and for the beauty of the Requiem face. The other inspiring news was of Dave Redpath’s completion of his big Anvil project of three years; Fire Power 8b. Click on the picture of im on it above for a bigger view. We shared the process of doggedly battling with our respective projects while I was trying Metalcore, including the long pilgrimage to the Anvil week after week. Dave was soooo close to doing the route for a while, but also right on his limit. It’s always inspiring to see people stick it through and not take no for an answer. It’s been really fun developing the Anvil and cool to see others starting to go there and try out the routes. I have more to blog about but, this post is getting long now and I have to rehearse my lecture tomorrow to 500 sport scientists about why climbing is one of the few special adventures left in this world. Gulp. Niall McNair has entered the blogoshpere – Well done Niall! This man has likes to have some proper adventures and writes well, so make sure you click on his RSS button. 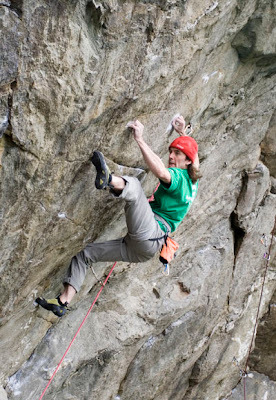 Will Gadd has put up an interesting post comparing climbing with other sports, something that isn’t often done directly. I managed to pick up my first soft tissue injury for over 5 years – bummer! A hopefully minor strain of an A3 pulley in one of my fingers. I’m pretty sure it happened when I as redpointing Metalcore a couple of weeks ago. I was kinda hoping it was just a bit of finger bruising but it’s persisted and must be a pulley strain. So it’s back on the daily routine of ice for one hour of every day and some aggressive rehab until it heals. At the moment it seems to be just about strong enough to pull hard once I’m very warmed up, so we’ll see how things go. I’ve been really really lucky to avoid any finger injuries for so long I’m not too disheartened. And all things going well, it just means I can switch to training my openhand strength for a couple of months. I’ve been doing some interesting work lately, coaching the talented young kids of Scotland up at the wall in Aviemore and lecturing to non-climbers in Dumbarton. It’s funny how hardly any of the locals know that the rock is more famous these days for its climbing than its castle. It’s always a challenge trying to encapsulate the appeal of climbing to a very mixed audience with who have never seen anything like it before. What do you tell your non-climbing friends about climbing and why you do it? You can see what the Dumbartonians thought in this review of the show. Next up I’m going to be talking to sport science, medical and health promotion delegates from all over the world at a big conference in Glasgow soon. What to tell them?! I’ve just been preparing my talk today and it reminds me that you always feel more understanding yourself of a subject when you try to explain it to someone else. I reckon that the powers that be in sport and health promotion would do well to take a look at the ‘long tail’ idea that business is taking to more and more. Trying to focus all the resources on a few sports that are very specific (even if they are popular like football) is akin to the situation in offering products in business. If your business offers something that caters for everyone and pays attention to the ‘niche’ it can reach a much wider audience. Governments are trying to do just that sort of task – get EVERY kid off the couch and off the road to an unhealthy life and early grave. Yet they focus on such a narrow range of sports, and mainly sports that are very specific activities (i.e. have one mode). As a kid my experiences with sport at school were almost entirely negative and my PE teachers did nothing but compound my hatred of it, but now I’m a semi-professional athlete (I always say that with tongue slightly in cheek, but I suppose I am when it comes down to it). There were a few reasons why but the main ones were the imposition of rules and the drowning of creativity in school sport. And also I wasn’t ready for competition as a kid. I think many kids are the same. 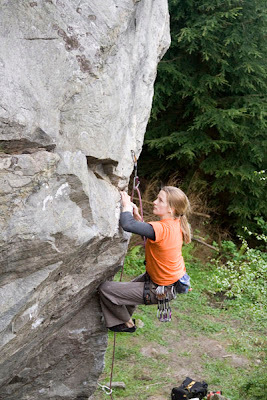 Climbing is often attractive to young folk because of the freedom to explore so many avenues within it – competitive or non-competitive, team or individual and in many different situations. So there is something there to suit many personalities. Just to remind folks in the North East, I'm at the Extreme Dream climbing wall in Aviemore tomorrow and giving a talk on my climbing at 8pm. See you there maybe? Setting up for the crux of the Sidewall project. 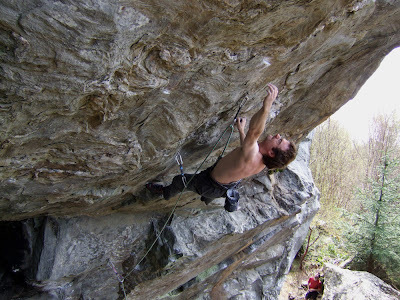 Dave Redpath mid crux on the Heavy Metal project - a 2 move Font 8a! Sarah on moving round the crack on Friendly Fire 7a. 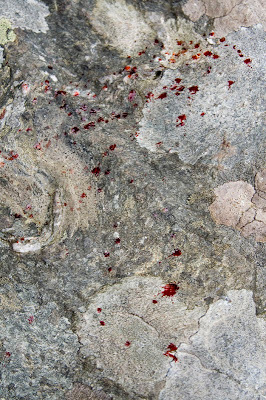 Blood spattered on the ground below Dave Redpath's project. 100% effort on redpoints at your career grade limit are truly brutal. The sharp jug at the end of the hard climbing was the cause of this trauma to Dave's hand. When you have no power left to latch the finishing hold, you have to latch it with skin. Sometimes it works, other times it cuts you up. Our countdown to the summer season has begun – only a week or two before its all change in my schedule at least and time for the Anvil spring sessions to end until late September. Trad climbing and the mountain crags are beginning to call. Normal Scottish service of rain and wind have resumed in Scotland after the ridiculous weeks of roasting sun and parched dryness. The Scottish climate is so much a part of the landscape here – I was amazed to feel that I actually welcomed the return of the fresh damp Atlantic wind and heavy clouds blowing through the glens yesterday. The midge also made its first appearance of the summer when the wind briefly dropped. Definitely time for the mountain crags then! 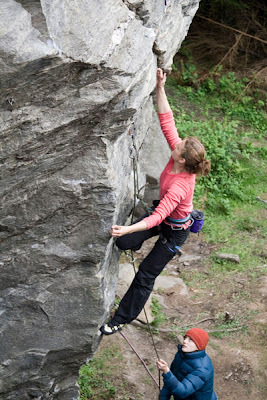 It was great to watch and listen to more new people coming to our wee sport crag and trying it out. Emma, Sarah and Dave B seemed to rate the place and the routes they worked on. Emma and Sarah looked very strong on the Anvils power sapping crimps which was impressive to watch. The Anvil is a demanding place though. You need some real grit to finish the routes here, as Dave Redpath was finding out on his continuing battle with the Heavy Metal project. Through the crux this time, but power fade on the upper crux meant he’ll have another week of late nights in the woody before next Saturday’s edition. Check out Emma and Dave B’s blog posts about the Anvil. For the last few Anvil sessions I’m going to persevere with one of the two main lines I’m serious about doing there; the sidewall project. Its not as steep as the others but a bouldery crimpfest which would sit nicely among the Raven Tor desperates (but better of course!). About F8a+ to the crux and then a two move stopper that felt like British 7b yesterday. Maybe it was just the humidity rising? Either way, its going to be another high end route. Brutal daily fingerboarding will be the key to this one as little endurance is involved. So I better get off and do that now… Some important Scottish news this week (No, not that the Scottish National Party won the Scottish Election!) is that Es Tressider smashed the Skye Cuillin ridge record, running the ridge in 3 hours and 17 mins. Superb effort Es, well done! More on this: video on Hotaches blog and info on Es's website. 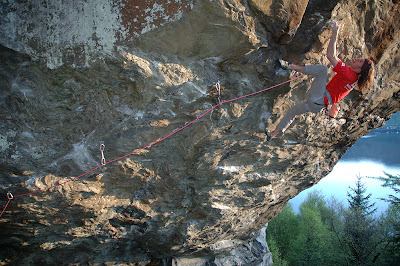 Starting the upper section of Metalcore, where is joins last year’s route Bodyblow 8b+. Over the last month I have been repeating inwardly ‘persistence pays, persistence pays’. Normally, hanging in there until I have finally defeated a project comes more naturally to me than most. But for some reason of other it’s felt quite difficult on this Anvil roof project. Maybe it was the walk? Redpath and I estimated we’d made 30 visits since October 2004 which is 240 miles of walking!!! 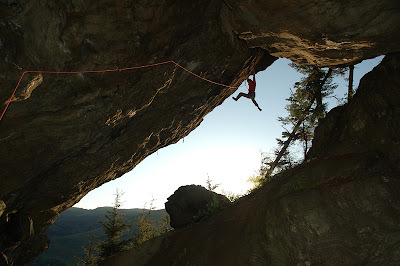 I bolted the big roof project in 2004 and eventually did separate lines starting up it but verging off left (Bodyswerve 8c) and coming in from the right to join the top part (Bodyblow 8b+). But the whole roof link is ‘the line’. 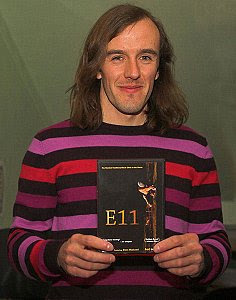 Utterly inspiring for any sport climber I think, hence the continued psyche to get it climbed. I came back all confident from Spain in March after doing 8c in a few goes and getting super close to 9a, and thought the Anvil project might go fairly quick. But it seemed to have other ideas – that jump at the end was just nails to initiate and stick. Some problem with sliced up fingers didn’t help progress, but certainly cemented the war mentality – I must get it done! Our Monday session was just more of the same – battling all the way to the jump and having no strength left to make any impression on it. But all those redpoints were gradually stimulating the fitness and lovely automatic flow you only get when you’ve spent many many days on a hard route you are intensely motivated for. A 1500kcal day yesterday dumped some of that nasty glycogen & water payload and it was game on. Yesterday Claire came out (goddam lucky charm that she is!) and held the rope. Three times out to the swing with an uncontrollable arc of the feet and downfall. And then, on the last try, enough efficiency below to save a percentile of energy. I pulled up more into the hold and my feet swung back - OH MY GOD CLIP THE BELAY!! 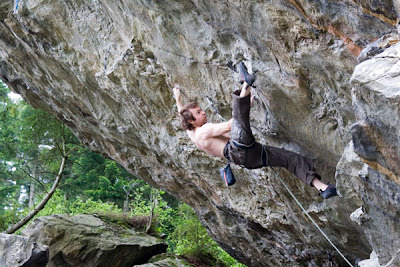 Needless to say it’s a mega buzz to see the project finally go down and have a possible 8c+ in Scotland for the first time. If Redpath nails the Heavy Metal project that will make it even better. It was brilliant watching him nearly hold the dyno on that on Monday one handed. Actually there are several ore amazing projects to go at the Anvil. Nearly all of them are 8b+ or harder. That’s inspiring. Start up Bodyswerve, but follow the faint crackline all the way to the peak of the Anvil roof, joining Body Blow for its redpoint crux. If you can think of any others then please comment on this post and let me know!!! Online Climbing Coach store: A complete catalogue of all the decent books on training for climbing ever written! Scottish Climbing Guidebook Store: A definitive list of all the guidebooks you need to climb anywhere in Scotland in any climbing discipline. My Favourite books! Just a fun list of the favourite books on my shelf that inspired or informed me and my climbing. Click on them to have a look. In the future you can find them on the Shop page of my main site. I’ll keep them regularly updated and try to get reviews up of new books that come on-stream. It an Amazon based thing, so you can buy any books straight from the shops if you like them. I thought it might be handy as it saves you searching through reams of pages and wondering which books are most up to date or highest quality. I know that some folks wondered why the SMC had to separate the North West of Scotland areas into even more separate guidebooks. Well the introduction to the new Northern Highlands Central book has the answer loud and clear; 100 routes in Gairloch and Gruinard in the 1993 edition, over 1000 in this edition! Nuff said. If you know the north west of Scotland well you’ll know it’s really a bit ridiculous that it is referred to as a single climbing area in itself – “were going to the ‘north west’ to climb”. Well, I suppose it’s better than Scotland being referred to as a single climbing area of the UK as it often is, with 12,000 routes! When you think of the size and amount of climbing in the NH central area compared to the Peak district, it starts to become more amazing they could even fit it into one book. Anyway, what about the book. Well, the great thing about SMC guidebooks is that I don’t have to tell you about the quality of the information and presentation; it’s an SMC book so you already know it will be top notch! Predictably detailed, comprehensive, enthusing and now even better with the glorious photo topos and loads of colour photos. Perhaps one of the enduring reasons why solitude is still virtually guaranteed on the north west crags (apart from the remoteness, weather, midges etc!) is that so little is known about them in the climbing-public consciousness. What are the classics? What are the best crags for short days, long days? Westerlies? Wet weather? Dry weather? Etc etc. The photo topos really help you connect with crags which in most climbers’ cases you’ll never have seen before. So, why buy the book and go climbing in the NH central area? Well, ‘the main events’ in this book are Carmore, Gruinard, Loch Tollaidh, Stone Valley, and An Teallach. This encompasses the area north of Glen Torridon and south of Ullapool. Many of these are cragging venues, I hear you say, and wouldn’t you want to be on mountain crags if you were contemplating a trip to the NW? Well, you might, but the weather will probably have other ideas. Accessible cragging which often stays reliably dry when the mountains are driech will save your trip. But quite apart from that, the cragging is brilliant! There are absolutely stack loads of routes to go at, at all grades now. All in the ubiquitous stunning scenery with very clean rock. But when the sun does shine, get those walking boots on and get into Carnmore for a really BIG experience. The photo of Gob (HVS) sums up what North West mountain cragging is all about – pure adventure, with the climber looking small and vulnerable inching off into a sea of rock scenery with a gathering storm brewing up the glen behind. 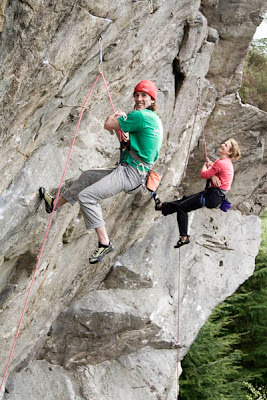 Climbing in the north west of Scotland will always bring out the romantic element in climbers for good reason. No matter what it throws at you, it always leaves a big impression on you – an infinitely more powerful experience than another forgettable trip to clip bolts in the sun.